What Thermostat Do I Need for My Home? Heating and air conditioning are two very important parts of your home. No matter what climate you live in, your HVAC system is sure to get some use at least part of the year. Learn about the different options available to you and get the information you need about them to make an informed decision from the writers and editors of LoveToKnow Home Improvements. Supplemental Systems: In addition to your furnace, you also have the option of adding supplemental heating to your home, including Amish heaters and wood burning fireplace inserts. Radiant Heat: Radiant heat is an extremely efficient way to heat your home, and you have options for how you have it installed, including baseboard heaters or electric radiant floor heat. Ductless Air Conditioning: Gone are the days when you needed ducts for your heating and cooling needs; get the information you need to weigh the pros and cons of ductless air conditioning systems and whether or not they are right for your home. Cost: Learn the costs associated with gas furnaces as well as other new furnace types to help you plan your budget for this major purchase. Installation: Learn how to put in your own wood stove or the thermostat that controls the heating and cooling for your home. 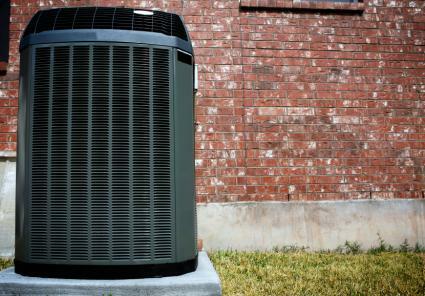 Rating and Size: Get the facts on how central air conditioners are rated, as well as how to calculate how many BTUs you need to heat your home so you know what kind of system to buy. When your home is adequately heated and cooled, you'll find you're more comfortable there. Get the information you need and learn about the different options available in heating and cooling to make your home the most comfortable it can be.